Solo Show, Curtain Road Arts, London. 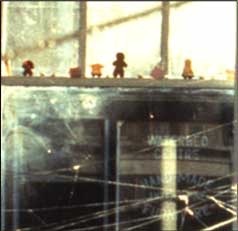 Silver thread, fancy cakes and mixed media.1996. 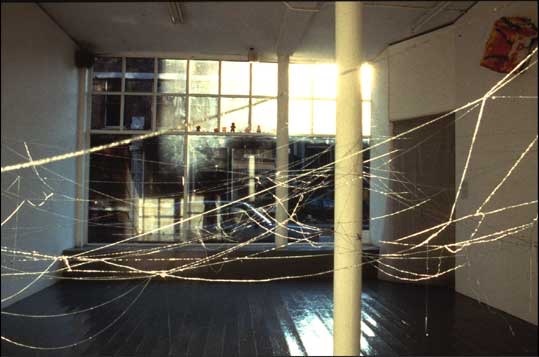 A giant web has been woven in the gallery to create a drawing in space, a home and a trap. The silver thread alludes to magic as well as operating as device for catching light. Differing degrees of visibility occur as light moves through the space showing the passage of time. Cakes in the window tempt people in but are out of reach and slowly go stale.